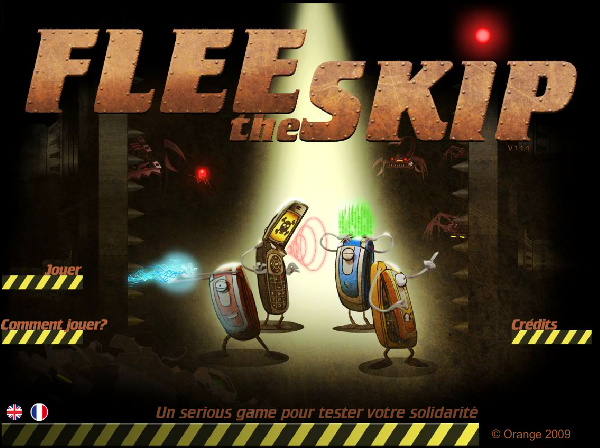 Flee the Skip is a multiplayer Serious Game. You need 4 users to play. The game improves your solidarity by stressing you by this way: be able to escape from the skip in 20 minutes. But all the players must flee away. If one of you is left, the game is over. The players control mobile phones. "Etude de l'impact de communications électroniques basées sur le Serious game - 2ème approche"
SEE / Revue REE, ISSN 1265-6534, n°4, 2011, p. 75, 2011.